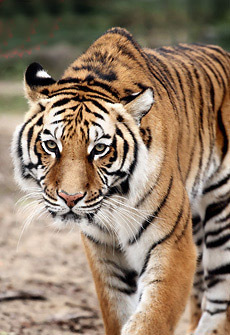 What do Bengal tigers, dogs and pigs have in common? They are members of the animal kingdom alright but they come from completely different families. At Pattaya Tiger Zoo, though, you will find them all living together in harmony, thanks to the zoo's rather unique feeding programme. Witness mother pigs feed tiger cubs alongside its own piglets, have your pictures taken with the cubs, watch the crocodile show, or enjoy riding on the back of an elephant. Also, meet and feed the ostriches, single hump camels, kangaroos and an aviary of exotic birds. This is one place for families to enjoy quality time together. - Air conditioned vehicle with English-speaking guide. - Admission fee as mentioned on this program. - Transfer from/to hotel in Pattaya. - Personal expenses such as drinks, tips, insurance etc. - Other service not mentioned on this program.